Economic growth requires energy. 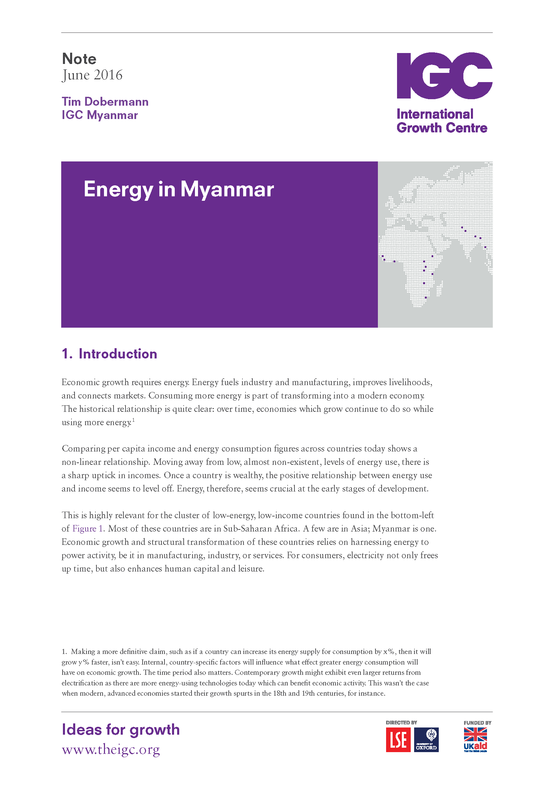 Energy fuels industry and manufacturing, improves livelihoods, and connects markets. Consuming more energy is part of transforming into a modern economy. The historical relationship is quite clear: over time, economies which grow continue to do so while using more energy. Comparing per capita income and energy consumption figures across countries today shows a non-linear relationship. Moving away from low, almost non-existent, levels of energy use, there is a sharp uptick in incomes. Once a country is wealthy, the positive relationship between energy use and income seems to level off. Energy, therefore, seems crucial at the early stages of development. The paper can be read in Myanmar language here.